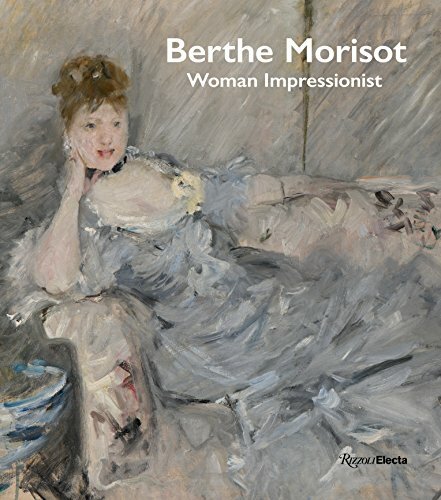 Published to coincide with the first major Berthe Morisot international exhibition in decades, if ever (this is, in fact, the first exhibition of its kind to be held in Canada), Berthe Morisot, Woman Impressionist expands on Morisot’s participation during the Impressionist era. Edited and introduced by Patry, additional essays divide up the commentary between art historians Marianne Mathieu, Nicole Myers, Cindy Kang, and Bill Scott with a detailed chronology by Amalia Wojciechowski. Essays tackle topics such as Morisot’s biographical information, Morisot’s connection to both the French Rococo tradition as well as the modern 19th century aristocratic women, the symbolisms of settings in Morisot’s paintings, and the inspiration Morisot lent to other artists in her circle. There is some repetition of facts from essay to essay and the reader will notice several redundant commentaries. Rather than being annoying, this restatement of information provides a context, a foundational orientation. Which is then overlaid with different themes and broader analysis of unique approaches to viewing Morisot’s character, interests, and her overall oeuvre. Each author uses these key bits of evidence to arrive at vastly different conclusions, making for fascinating reading. For instance, Mathieu’s piece identifies, as purely biographical information, Morisot’s three early teaching influences as Geoffroy-Alphonse Chocarne (a pitiful teacher for intelligent minds), Joseph-Benoit Guichard (a progressive combination of Ingres and Delacroix—if there could be such a thing—who recognized Morisot’s immense talents in spite of her gender), and Jean-Baptist-Camille Corot (a highly influential French landscape painter on the verge of plein-air innovations). Myers then refers to Morisot becoming tired of landscapes. Corot’s “poetic” painting was fine for him, but Morisot certainly wanted to distinguish herself from his precedent. She launched from Corot into a focus on the figure. In Kang’s commentary, Morisot returns to the lessons she learned while studying with Corot to incorporate landscape elements and blur the lines between indoors and outdoors. Finally, Scott uses Corot in relation to Morisot’s stylistic influences. Corot was satisfactory for her copy-cat elementary style (most of these pieces she subsequently destroyed), but she quickly sought professional camaraderie with Manet, Renoir, Monet, etc. Seeing favorable elements in each that would suit her own objectives, she exchanged suggestions, opinions, and artwork, with several other artists. These artists also, in turn, acknowledge her impressive contributions in various ways. One sticky point to reflect upon is that it is not clear why the book’s title needs to carry the word Woman as its singular descriptive element. Is this meant to be an asset or a liability? A positive reference or negative? The overarching purpose of this particular essay combination is to explain why the general population should no longer deem gender as relevant in defining masterful painting. This perspective, adopted first by Salon critics, was abandoned long ago and there are today other aspects and vocabularies that are more compelling and accurate. So why include it when pointing out the obvious in the title does more to stymie? Wouldn’t one find a title such as Manet: Man Painter odd and nondescript? It is not even obvious that gender is as current an issue in our present-day society in regards to who is allowed to call themselves a painter, as it may have been in Morisot’s. That word Woman installs a heavy weight, presents misplaced feminist connotations, and is not conveying the immense importance of what Morisot actually accomplished in the world of art history. It says absolutely nothing about her character and creates more confusion than necessary. Morisot was clearly a radical, independent thinker trying to make a way for herself by tiptoeing around her aristocratic social circles and prejudices. She was clever, abundantly creative, and hardworking. A powerhouse alternative for such a powerhouse person might include one of these adjectives, which are indeed written in the very first sentences of the first paragraph of the first page of the foreword: “exceptional,” “important,” “dedicated,” “audacious.” In this instance an appropriately admirable tribute might be: Berthe Morisot: “Extraordinarily Virtuosic” Impressionist, which is exactly what this book is, ultimately, proving. In any case, there is much to be appreciated in Berthe Morisot: Woman Impressionist. The writings together with hundreds of full color reproductions, deliver a thought provoking, evidence-based experience, and, perhaps, an incentive to get out to see the exhibition.